Chipotle is facing a huge roadblock to its comeback: Many customers still don't trust the chain. American's perception of the chain's food quality and trustworthiness still hasn't recovered from its 2015 E. coli outbreak, according to a survey by investment bank Cowen & Cowen released Friday. In 2015, 69% of the general population thought of Chipotle as above average or higher in terms of food quality and trustworthiness, according Cowen's survey of 2,500 respondents. This figure plunged to 53% after the E. coli outbreak was first reported in late 2015. The public's perception hasn't recovered much over the last two years. As of August, just 47.2% of the general population saw Chipotle as above average or higher in terms of food quality and trustworthiness. "We believe driving material upside to investor same store sales expectations has become increasingly difficult given that food quality was the brand’s legacy differentiation," the analyst, Andrew M. Charles, wrote in the note, which downgraded Chipotle shares to underperform from market perform. "Further, we believe the proliferation of fast casual competition that have replicated Chipotle’s playbook of an assembly line service format for speed, and high quality 'food with integrity' positioning across different cuisines present added challenges to improving quality perceptions," Charles continued. While Chipotle has positioned queso, which will debut nationwide on September 12, as a solution to its ongoing sales slump, Cowen analysts were unconvinced. With quality perception at such low rates, they argue that Chipotle can't rely on an "indulgent" item such as queso to drive sales and repair its reputation. 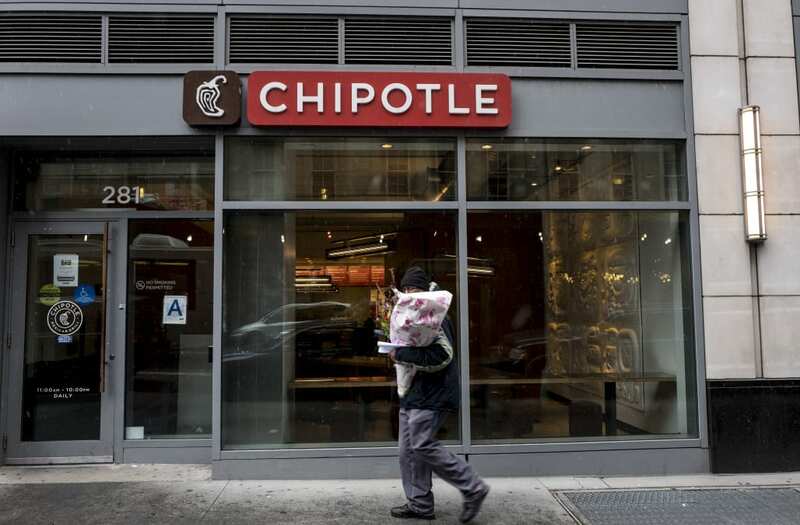 Chipotle shares dropped 3.78% as of 1 p.m. ET on Friday after Cowen downgraded the company.